June Rubis goes beyond the poster wars of the Sarawak State Election 2011 and calls upon the rakyat to be part of the Force in rebuilding the State. The poster wars for the Sarawak election 2011 tell you a story beyond the slogans and the grinning faces. Five years ago, you could smell the triumph of Barisan Nasional (‘BN’) even before the votes were cast. The billboards and posters for BN all over Sarawak said it all: Chief Minister Taib Mahmud and his cohorts are here to stay. 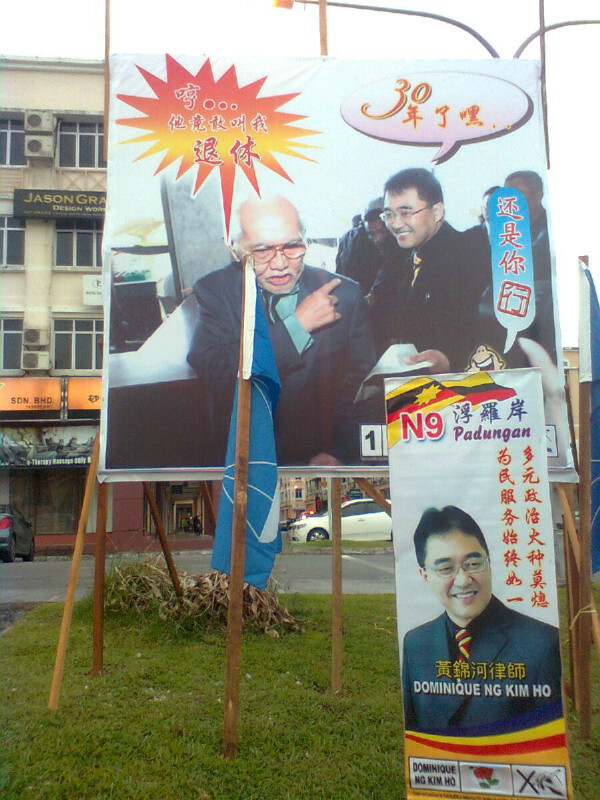 Sarawak’s highest political trinity of its Chief Minister and Deputy Chief Ministers (‘DCM’) were prominently placed on billboards and posters in all constituencies. There was no mistake who you were casting your vote for; not for the candidate-in-running but rather, to keep the godfather of Sarawak politics in place. He held us in his grip for twenty five years, and we were ensuring another five more years of his rule. The 2006 votes were cast and counted. As predicted, BN won hands down. The opposition were shattered winning only a few seats here and there. The godfather had spoken. Within those five years however, what we thought were merely indisputable facts (BN forever and ever) were formidably challenged. Like rain after a long drought, the political tsunami of 2008 flooded our subconscious shores. People began to realize that a political change could happen within our lifetime. People began to hope once more. Fast-forward to today. The BN campaign poster strategy has shifted. Gone are the billboards of a beaming Taib Mahmud and his DCMs around the city. Instead, we see billboards of actual candidates of all parties – young, brimming with optimism and an eagerness to serve. One political party in particular, the Sarawak United People’s Party (‘SUPP’), the local equivalent to Malaysian Chinese Association (‘MCA’) in Sarawak, is working hard to revamp the party. The recent Sibu parliamentary by-election defeat for BN was a humbling admission that Sibu voters are fed-up of not having their voices heard by a political party that once held their loyalty. In the rural areas, the poster wars strategy differs. 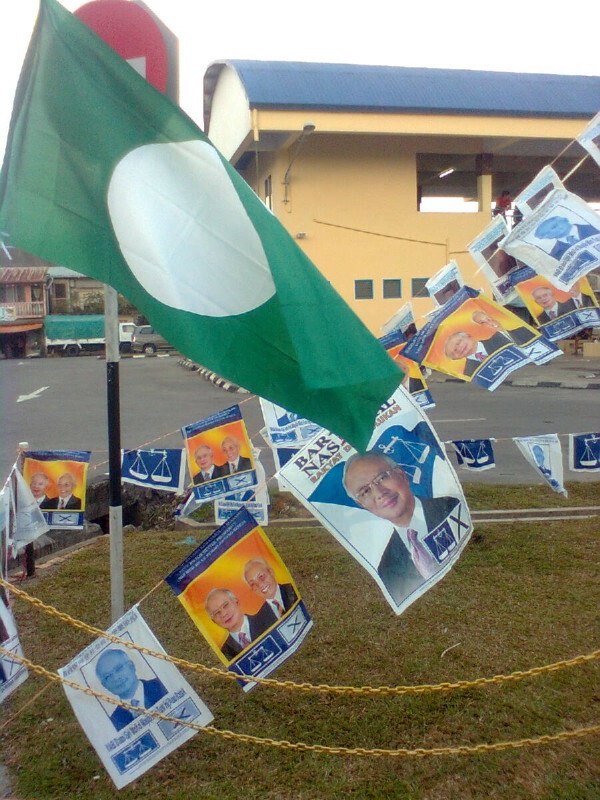 In rural constituencies such as Tanjong Datu, posters (not billboards) of the Chief Minister and the Prime Minister hold prominence over the actual incumbent himself, Adenan Satem of BN-PBB (Pesaka Bumiputera Bersatu), who within his own support base, is acknowledged as a “muka lama dalam politik Sarawak“. It appears that for long-standing incumbents who may not be more popular than the Chief Minister, such posters are placed to remind the rakyat once more of whom their votes are actually being cast for. Would this then be the election of ‘Ubah‘ for Sarawak? Spirits are high in all camps, particularly for Pakatan Rakyat. They are a coalition of of West Malaysian political parties of Parti Keadilan Rakyat (PKR), the Democratic Action Party (DAP) and Parti Islam SeMalaysia (PAS) who are working very hard on the ground with up to six ceramahs a day per personality (a ceramah is an oration held by the political party and/or its candidate). The Malaysian online media is particularly ebullient for Pakatan Rakyat. If you were to read the articles on the online news portals, you would be convinced the Sarawak rakyat is so ready for change, particularly Pakatan Rakyat’s notion of change. But will Pakatan Rakyat make the same mistake the federal BN government did in believing their own mass media in 2008? Only time will tell. Sarawakians for the most part are cautious of what seems to be overwhelming ground support at all Pakatan Rakyat ceramahs over the State. Would fiery speeches inspire the rakyat to cast their votes in favour of PKR, PAS, or DAP? Some think that out of the trio, DAP appears to genuinely have the strongest support. After all, it is a party familiar to urban-based voters of Sarawak who grew up with its struggles to gain a footing in the local political arena. PKR, on the other hand, is an unknown factor for Sarawakian voters. Out of the 25 seats it contested in 2006, the party only won one: Padungan. 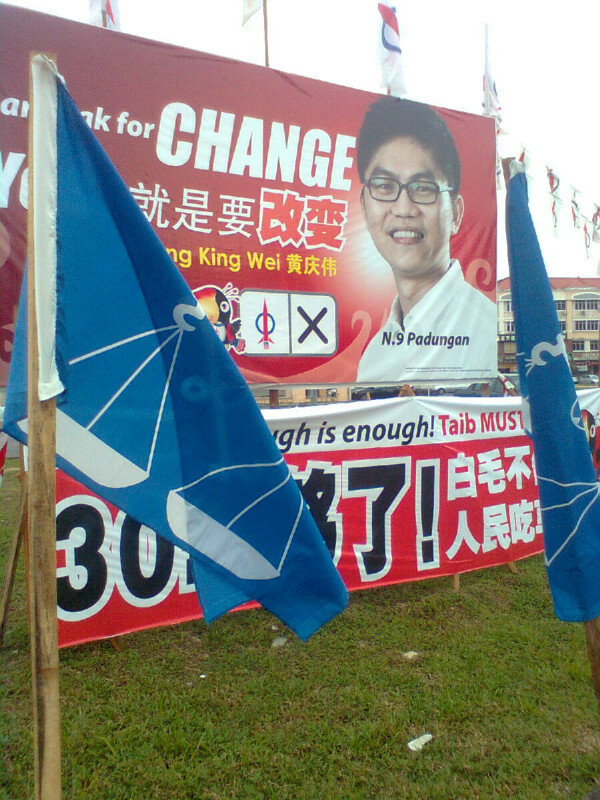 Five years later, PKR dumped its incumbent, Dominique Ng, prompting a three-corner fight for the seat, with Ng running as an independent. Whatever the reasons PKR had for getting rid of Dominique Ng, it only serves as a reminder to Sarawak that party politics come first and foremost (of all political parties, be it Pakatan Rakyat, or Barisan Nasional) instead of the rakyat. And this orang rakyat in particular, is getting rather fed-up with the antics of our politicians on all sides, especially in being told what change we supposedly seek. 1. Vote according to your conscience. Place your vote for the candidate you think would serve your constituency best. Have him/her beholden to the promises they have made throughout the election campaign. 2. Encourage your family, your friends, your peers, your frenemies, your twitter-buddies to cast their votes even if they are likely to vote for the party NOT of your choice. It’s a democracy, or at least, we like to think so. Have an open discussion on why you plan to support a particular candidate or party. Even if you do not manage to convince your peers to change their votes, you may end up having a broader perspective of local issues that matter. 3. Take a breather after the elections. Your candidate of choice won – hooray! Have a drink. Your candidate of choice lost – boo! Have a drink. In any case, rebuilding of society doesn’t stop after you have cast your vote, however we want your spirits refreshed after the emotional turmoil that is the Pilihanraya Sarawak. 4. Get involved in civil society. This is where the exciting part happens, where the real work begins. Whatever the outcome of the election, rest assured that status quo of what we used to know is gone. The rakyat has a voice. Lets use it, as wisely and loudly as we can. Imagine a civil society platform devoid of politicians and political parties, that is strong and uniquely Sarawakian. Too long has civil society in Sarawak been fragmented into different interest groups. This is the time to regroup, to find a common stance and to make ourselves heard. There are five days left to Election Day. Yet there are 263 days left to the end of the year, and about 2,089 days to the next state election. Who knows what the next poster wars will bring? But I promise you this: that things will get better for Sarawak, and it is only because you decided to look past the grinning faces of whatever political posters, and fiery ceramahs, and get involved in rebuilding Sarawak beyond casting your vote in this particular election. June Rubis previously wrote about the Sarawak Election: on LoyarBurok: Gods of Sarawak: Who Will Answer Our Prayers; and the Malaysian Insider: The Pineapple Farmer and the Tsunami. She tweets at @j_rubis. She would like to thank Pei Ling Gan, Derek Kok, Izmil Amri Ismail and @orangasle for their encouragement to write about the Sarawak Elections. She dedicates this article to all Sarawakians who are flying down from all over, just to cast their votes, particularly to Andrea Tan and Joyce Lim. Posted on 12 April 2011. You can follow any responses to this entry through the RSS 2.0. Thank you all for your kind comments, and particularly to AgreeToDisagree, who along with Edmund Bon's reminder of what I said to him a while back, inspired me to write another article that I had just finished by 3 a.m. this morning (my day just started! I already had three hours of sleep). Hey, LoyarBurok retreat gets a shout-out in this upcoming article! Pakatan belongs ONLY in Peninsular Malaysia and has no business in Sarawak or Sabah or East Malaysia. There will be no future for Malaysia if Pakatan takes over where BN left so do not vote for either BN(Apartheid) or Pakatan(Nepotism) in the Eastern states. I'd even advocate despite the apartheid that comes along with UUMNO (APARTHEID could be countered at Federal level though between East malaysia and Pakatan Coalition and 3rd Force Coalition), that UMNO (and it's lapdogs) retain control over 2 or 3 states (if they can even do that) simply to keep Pakatan in check in the Peninsular (apartheid-racism in UMNO could die out in time to come – hopefully), while East Malaysia itself must never be controlled by BN or PR as well so that a single hegemonic political coalition can never abuse Malaysians ever again. Ideally Penang and Selangor should become independent states with independent candidates and CMs from neither BN or PR (but 3rd Force with no links to BN or PR agaian) to ensure power is properly distributed than in the hands of any coalition that is nepotistic/apartheid/corrupt and which does not endorse term limits or declare assets or continues Toll Concessionaires, Vehicular-APs or Forced Military conscriptions. Local Orang Asli and Sarawakians, vote for LOCAL PARTIES that are unaligned with BN. Do not let Pakatan become another BN by allowing them to dominate both Peninsular Malaysia and East Malaysia. That would give Pakatan too much power and this scenario must not be allowed to prevent a second BN arising. Pakatan may not be APARTHEID but they must not be allowed hegemony over both East and Peninsular Malaysia either. Orang Aslis and Sarawakians, vote for your own locals, DO NOT allow Peninsular Parties to take control of East Malaysia now that BN's influence ended. You are merely signing away power to Peninsular parties AGAIN. Orang Asli, and Sarawakian Chinese, vote local parties only! And non-BN(APARTHEID) parties at that! Otherwise run as an independent instead of voting for Peninsular parties. DO NOT LET BN or PR control everything! Run as indepdendents if you dislike your MP or Assemblyman, or simply to deny PR or BN hegemony. Orang Asli, and Sarawakians of all races, vote local East Malaysian parties only and demand EQUALITY after you win East Malaysia for yourselves! Sarawak can pave the way for the Malaysia to be a better country. Well done June. To all Sarawakians, your decisions are the model for us in Malaysia. Keep the fingers crossed for the date of 16 April,2011. Sorry June, you may fool some West Malaysians but Sarawakian that you and your father are part of the SNAP conspiracy to split Dayak votes and allow BN to win again. People like you, Jonson, Saleh Hashim, same pod. Why don't you tell us what you and SNAP have been up to in the past months, especially the millions pumped into SNAP. Who is the source. Aren't these issues you are concerned about to, or this 'I'm a civil society doyen' act is another smokescreen. 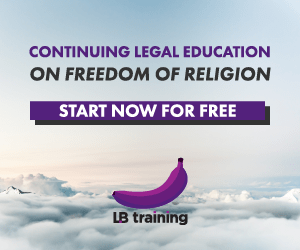 You can hide behind these West Malaysian lawyer groups all you want. But we know. Lol. Agreed. Us Lepehs are with you on this one. If there is to be a wave of change for the better in this country, it's going to start in Sarawak. Even though I am an orang malaya, I am with you, Ms Rubis!